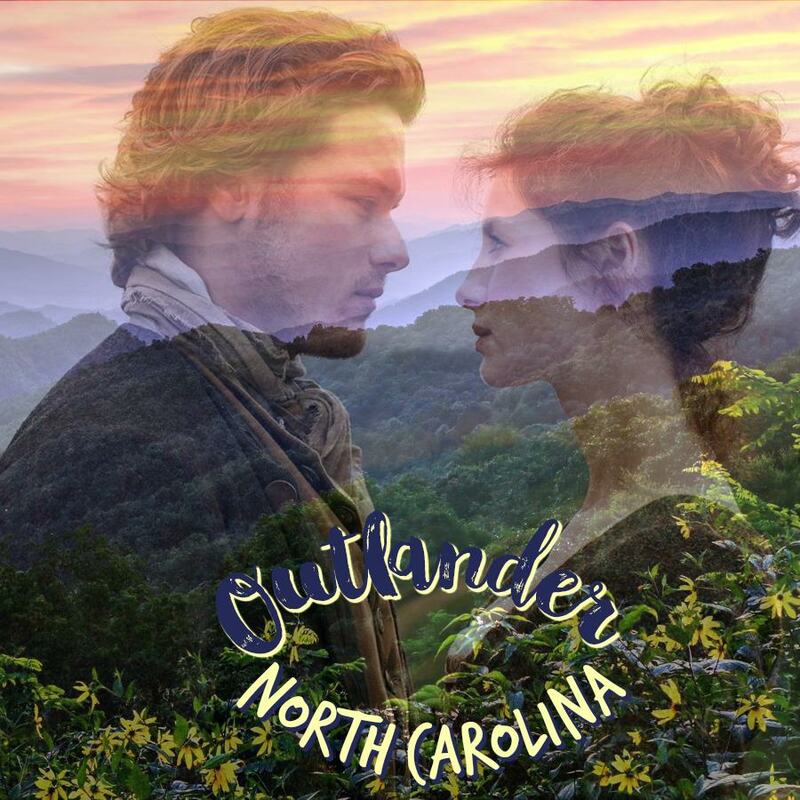 On Saturday, September 22, Outlander North Carolina and A Fraser’s Ridge Homecoming will host a Silent Auction to benefit Sky Diamond Rescue, a North Carolina 501(c)(3) charity. Sharon Pratt is the founder of this charity. I am happy to be able to support it. Every penny from the Silent Auction will be donated directly to Sky Diamond to help them as they prepare for the upcoming fall and winter season. Please read on to find out more about Sharon and this worthwhile cause. ONC: Hey Sharon. Before we dive into everything we need to know about Sky Diamond Rescue, tell me how you discovered Outlander? Sharon: I was walking through the mall and saw a display for the paperback version of Voyager, so it must have been late 1994. It caught my eye immediately- it was the “romance cover” in blue with a hot Scot couple on it- and I realized it was the series my friend had been raving to me about for the last couple of years ever since she’d received Outlander in her book-of-the-month club. So I purchased the paperback Outlander and it’s been history ever since. I started reading and never stopped. It didn’t take long, however, for me to go and special order the hardback edition of Outlander to save my eyesight. ONC: Diana’s books are full of history. Have you learned anything about North Carolina that you didn’t know before reading the books? Sharon: I’d dabbled in my family genealogy for years before reading “Drums”, but had never gotten quite so far back . Once I found out that the next book would be set in NC, I started researching again with a renewed passion. I’ll never forget the joy I had in discovering that I had ancestors who were Regulators and at the Battle of Alamance with Jamie and Claire. I couldn’t have been more proud if I’d had a President as an ancestor! That such an obscure NC Historical event , which took place right down the road from where I live, would become a focus of these books just sent me into orbit. The connection I’d felt to Scotland and the characters became even more real. ONC: You will be the main Emcee for A Fraser’s Ridge Homecoming. What can the attendees expect from you in that role? Sharon: Lots of bad jokes and puns? First and foremost, a good time! We want lots of laughter, fellowship and a feeling of ease. It’s a homecoming, after all, and that’s the way I want everyone to feel- at home. ONC: Now, tell all of us about your charity, Sky Diamond Rescue. We will be having a Silent Auction on Saturday of A Fraser’s Ridge Homecoming and I want everyone to know about this wonderful cause that they will be supporting through the auction. Sharon: Sky Diamond Rescue is devoted to rescuing horses needing homes and at risk of slaughter and dogs in need and at risk of euthanization in shelters. My friend Jana Rowe and I have dreamed of having a horse rescue for the last seven years, ever since we became “horse friends” and eventually keeping our horses together at the same barn. We would ride through the country, looking at barns and pastures, and dream out loud of a place that where we could rescue the horses that no one wanted, rehabilitate them with food, care and love, and rehome them into adoptive homes where they would be loved and cared for for the rest of their lives. I first came to the realization that huge numbers of horses and their owners were in dire straits during the 2008 recession. Craig’s List was full of people basically begging for someone to take their horses for little or no money due to their being laid off from their jobs and no longer able to afford to take care of their horses and dogs. Pictures of neglected horses, ribs showing accompanied these ads. I felt my heart breaking, but didn’t have the resources or knowledge to do much more than sympathize with their plights, as we had our own horses to keep up on a limited income. Jana had occasionally taken in horses and adopted them from people in her circle of horse friends, horses that sometimes were a little old or a little lame or a little untrained. I, on the other hand, pretty much stuck with the horses I’d had since my mid-life crisis re-entry into horses. We often spoke of the need of a place to provide at least a temporary shelter for horses whose owners could not feed or take care of them. In 2013 she took in her first real rescue, Jodie, a beautiful older registered quarter horse whose elderly owner was no longer able to care for him, but still loved him dearly. I will never forget the tears streaming down her face as we began to load him onto the trailer. She begged us not to change his name, and I promised we wouldn’t. And we didn’t. Jodie outlived his owner by five years with Jana and knew much love and good care. We began to read online about the “slaughter pipeline” and began to follow the pages of horse rescue groups on Facebook, consisting of people who band together to intervene by buying horses to save them from shipping to slaughter. I won’t go into the details here, but there are many days I wish I didn’t know what I now know about what happens to horses who are taken to auctions or sold or given away cheaply to what we used to call “horse traders.” I’d been into horses all my life and truly had no idea that many of the horses that went to a “sale”, or auction, actually ended up being purchased to be sold for meat for both human and animal consumption. Fast forward to 2017, when we were finally able to make our dream a reality by serendipitously finding a country rental property that could house horses, dogs and humans. A 501(c)3 non-profit status was granted, making contributions to the rescue tax deductible. The name Sky Diamond Rescue was chosen to honor Jana’s personal horse, whose registered name was “I’m A Sky Diamond”, whom she owned for over thirty years. Diamond’s own compelling story can be read on the About section of the Sky Diamond Facebook Page. Within a week, Sky Diamond Rescue took in its second rescue, a blind paint mare named Oreo who was scheduled to be sold at the next local auction. Oreo was soon joined by a crew of Oklahoma kill pen rescue mares, Primm, Dolly, Caitriona, and Big Elsa, and a pregnant miniature horse also named Elsa (Little Elsa). When we realized that the auction thirty miles away was also shipping horses to slaughter, they became a priority, and three more horses were brought home. Within two months, Sky Diamond had nine rescue horses and six rescue dogs in residence waiting for adoption, each with its own special set of needs in vet care, feed, hay, and farrier services. There have been as many as fifteen horses filling the barn at any one time, all cared for by Jana and her children. Horses coming from auctions, kill pens, feed lots, etc. are usually sick when they arrive and will likely need vet care, dental care and medications. $ Cha Ching. The feet of rescue horses are needier than the normal horses because they’ve been neglected for a long time, necessitating more frequent, more complicated and longer farrier visits. $$ Cha ching ching. Rescue horses tend to be either very old or very young and need the more expensive types of horse feed as well as all the hay they can eat. Cha ching. Rescue groups raise funds to save the horses, but they often have nowhere to place them and depend upon 501(c)3s to be the “last resort”. This means transportation costs plus the usual vet bills and feed bills indefinitely for the 501(c)3. Ching. Ching. Ching. Horses eat more in the winter, and last winter was very cold. Horses have to eat hay constantly to maintain their body warmth, at least doubling the amount they normally eat. Cha Ching Ching Ching. Cold weather weakens horses, and they will get sicker easier or go down completely. Freak accidents will occur, and vet bills will be incurred. Putting a horse down can be as expensive as keeping it up. Wells and pipes freeze up, and trees fall down on fences and electrical lines. Hauling and buying water, and repairing fences add to winter expenses at the worst of times. Rescued horses need assessment, riding and training before they can be adopted out. People who do this expect to be paid for their time. Horse people are busy with their own horses, and volunteers don’t usually work out, unfortunately. Our pockets are limited, but the needs of homeless horses and dogs are not. We’ve learned the necessity of fundraising and how to beg, politely, for assistance. We’ve built a Facebook following, a website, and also held fundraisers, but have found it much easier to get funds for a horse that’s in a kill pen than for the feed it will eat. In short, we have a whole lot more to learn about funding this venture. People do not knock the doors down to adopt rescued horses, even when the adoption fee is incredibly low compared to the expenses incurred in each horse. Rationally speaking, all horses are expensive pets; the phrase “eats like a horse” isn’t just figurative speech. The background of most rescues is completely unknown, the amount of training, the exact age, and breeding is a big fill in the blank. This matters to most horse buyers. If we are lucky, we can tell what auction a horse came through, and the name and age as given on the Coggins, but that’s all. We value all horses as they come to us, but many people don’t. As in everything, people have preferences and needs for the type of horse they want and always expect to get the maximum for the minimum. So, given all that we’ve learned in the past year, why are we doing this and why do we keep on doing this? The reason is simple. Every horse we take in is one that does not end up in a can, a pouch or a grocery store shelf, to put it bluntly. They will not end up enduring inhumane trailer rides to slaughter houses in Mexico or Canada. Horses that we take in may be in such bad shape that the only humane option is to euthanize, but those horses will leave this earth with loving arms holding them and full stomachs. They will have known love and tender care while they are with us, and the fortunate ones will be allowed to just be horses and recover from the trauma that they have endured at the hands of cruel humans in the sales pipeline. The most fortunate of these horses will go on to be adopted by loving owners to ride, or to be pasture pets and companions for other horses. We believe that all horses and dogs are worth the effort to save from the fate of the slaughter house. That means we don’t screen for age, health, breed or color before deciding to help a horse. It makes our job infinitely difficult and infinitely expensive, but infinitely rewarding at the same time. To continue our mission, we need help. We cannot pull all of the money to get through the winter out of our pockets again, as they are empty. That’s why we appreciate the opportunity to be the recipient of the Fraser’s Ridge Homecoming charity this year, and to make our mission better known to the Outlander community in particular. Every horse placed makes room for another one to be saved; every penny donated goes to the acquisition, care and feeding of horses either in a kill pen waiting for slaughter, or at risk of finding themselves in one. Ours is a real, physical facility that can be visited; we do not rely on fosters and do the work ourselves, unlike many rescue organizations. Thank you again, Beth, for the opportunity to educate the public about our mission! I am so moved by what I’ve learned from Sharon and had no idea the severity and direness of the situation of these horses. What a great charity and a worthwhile cause to support! I’m so glad that Outlander North Carolina and A Fraser’s Ridge Homecoming can be a part of making a difference in the lives of these beautiful animals. If you haven’t donated to the Silent Auction, would you consider doing so? Even if you are not attending A Fraser’s Ridge Homecoming, your donation would still be SO appreciated. The more items we have to auction, the more money we can raise to save, feed and shelter these animals. To learn how you can donate items to the Silent Auction, click HERE. Thank you in advance for whatever you can do!